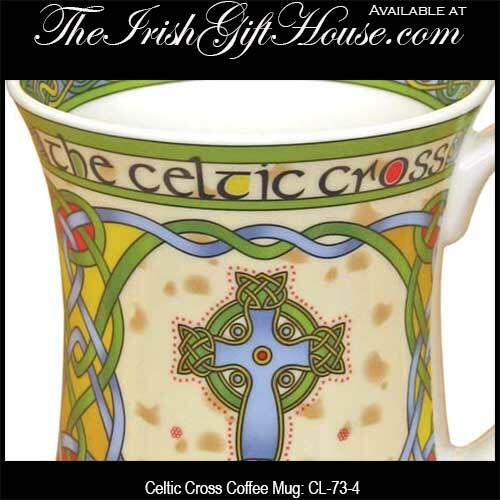 Celtic cross gifts is an eclectic collection that ranges from mugs to plates and includes letter openers and more. 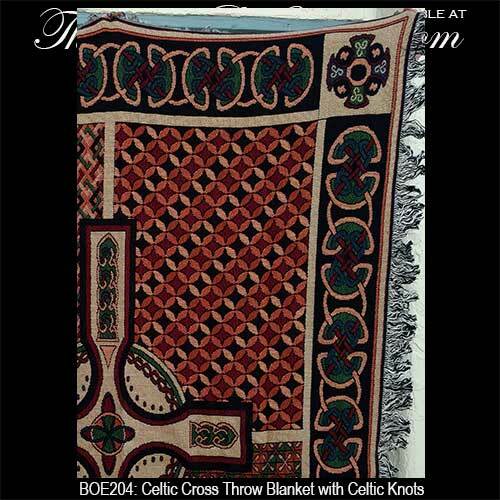 You are bound to find the perfect inspirational Irish gift for any occasion from our assortment. 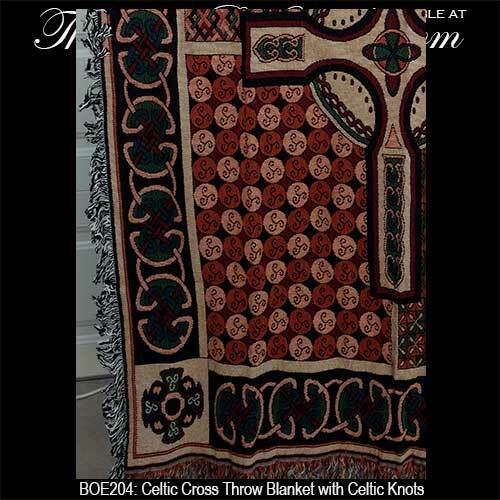 Most of the Celtic cross gifts at The Irish Gift House feature bonus Celtic knots or shamrocks and some even have traditional Irish blessings. 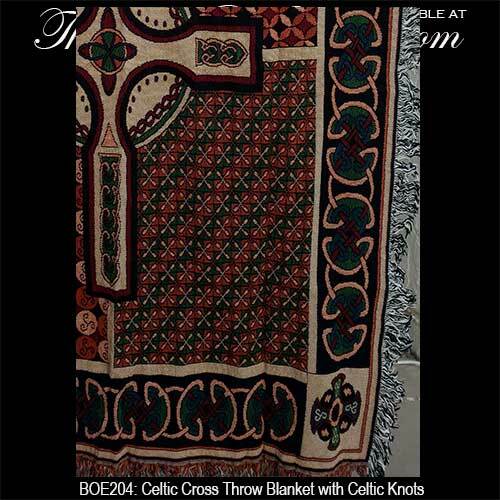 These inspiring gifts with the iconic Celtic cross may be the perfect pick me up gift that is sure to put a smile on someone's face. 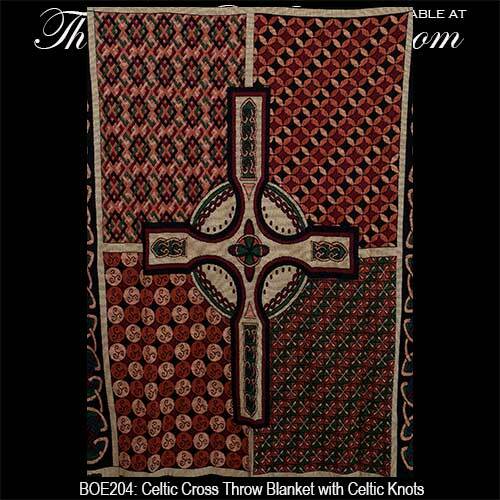 Irish sweatshirt is a hoodie style that features an embroidered Celtic cross. 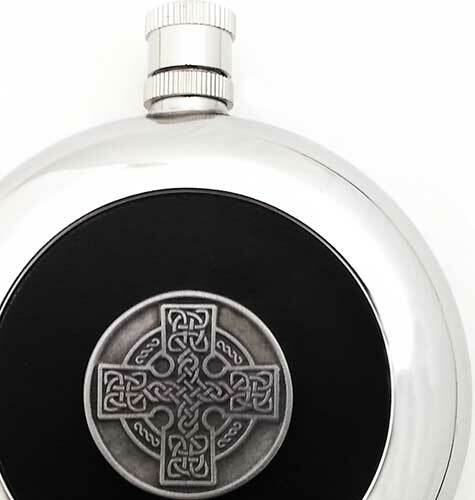 Celtic flask features stainless steel construction along with a pewter Celtic cross emblem on a removable shot cup. Celtic flask features stainless steel construction along with a gold plated Celtic cross emblem on a removable shot cup. 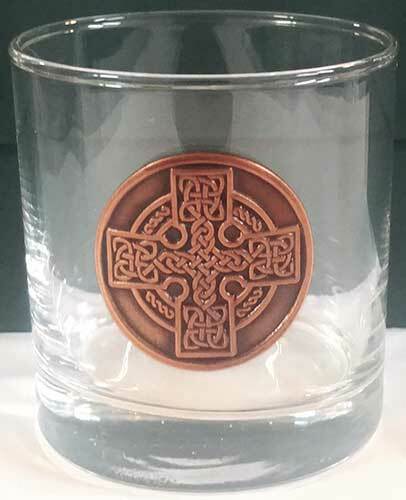 Celtic flask features stainless steel construction along with a copper plated Celtic cross emblem on a removable shot cup. 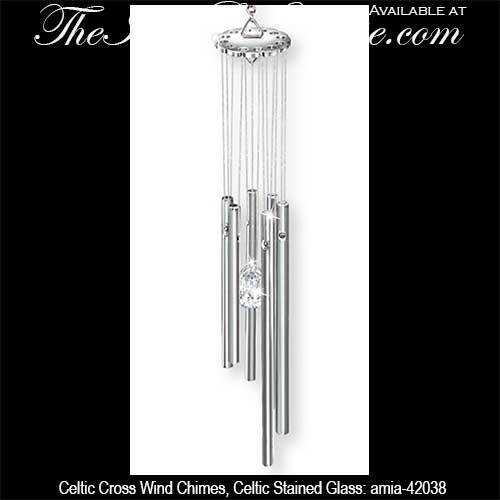 Irish wind chime features a large stained glass Celtic cross that is accented with shamrocks and knot-work. 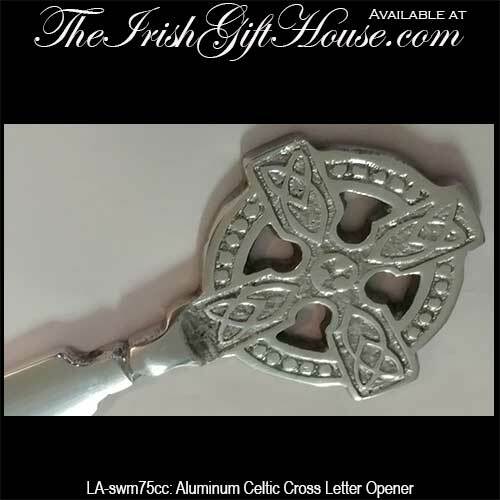 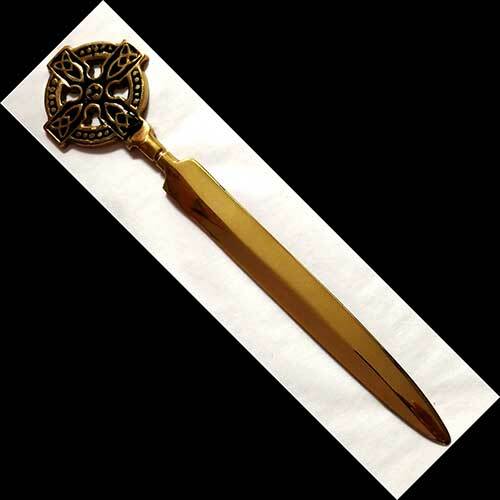 Celtic cross letter opener features embossed knot-work on the pewter handle. 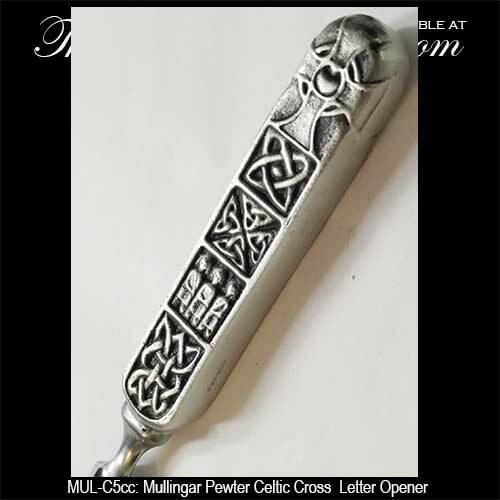 Celtic cross motif on this Irish money clip is enhanced with a an elaborate knot-work design. 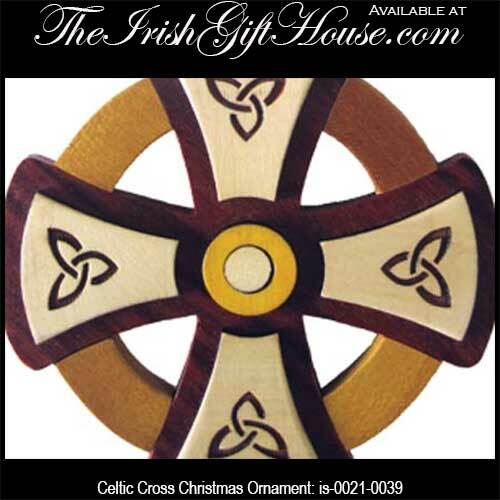 Stained glass Celtic cross suncatcher features an intricate knot-work design. 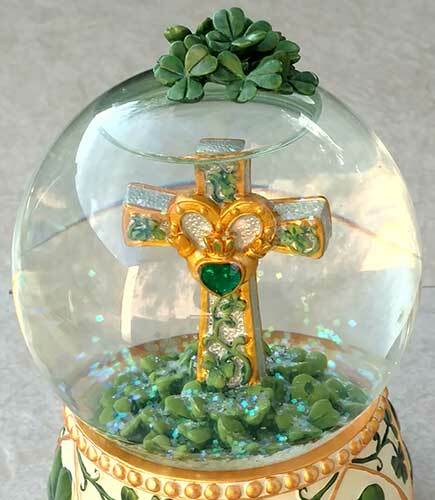 Celtic cross garden stone features a home blessing. 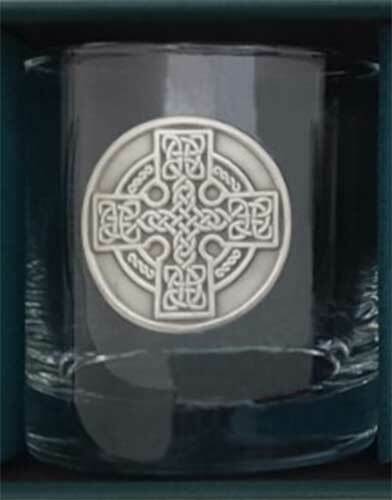 Stained glass sun catcher depicts the Celtic cross and it is accented with shamrocks and Trinity knots. 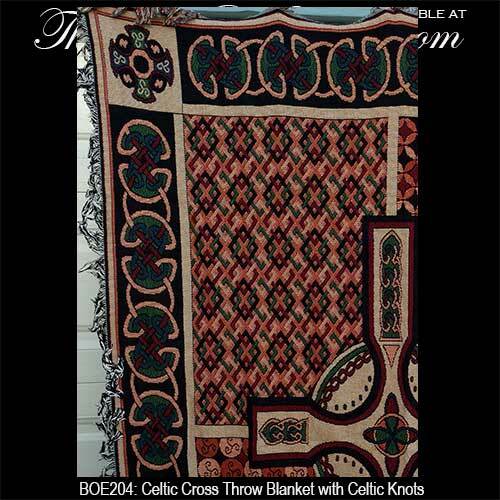 Irish blessing plate features a colorful Celtic cross and is enhanced with knot-work. 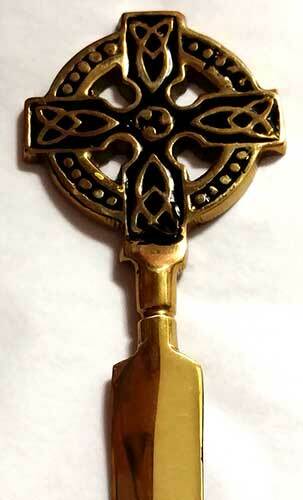 Brass Celtic cross bell is enhanced with knot-work and would be suitable as an Irish make up bell. 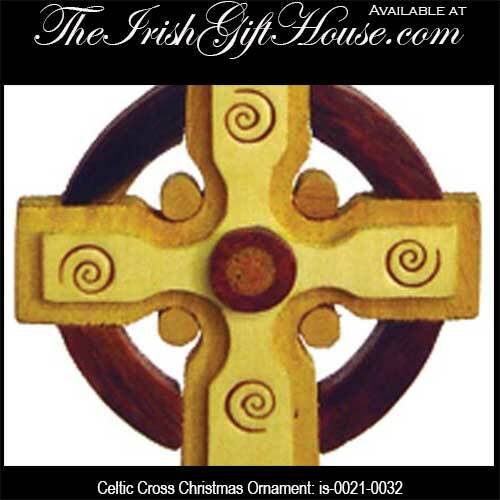 Brass Celtic cross bell is enhanced with knot-work and green enamel accenting; it would be suitable as an Irish make up bell. 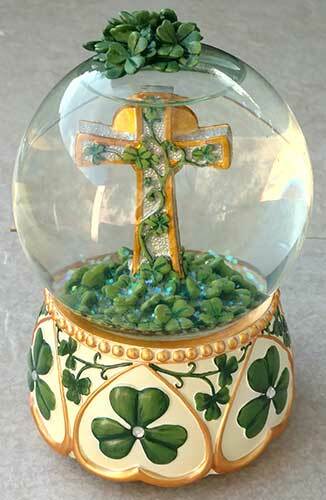 Irish night light features a stained glass Celtic cross. 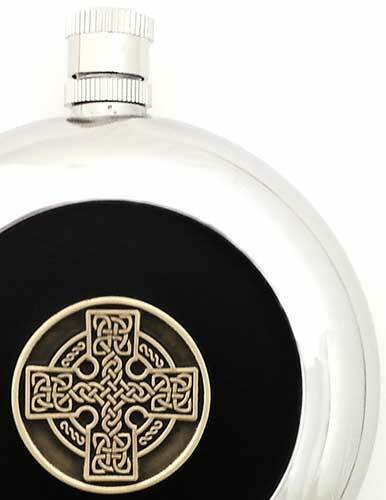 If you sentiment is more on the personal side, you may want to look at our sterling silver Celtic cross necklaces or our Celtic cross charms; they are a firm symbol of faith and a sure sign of dedication.